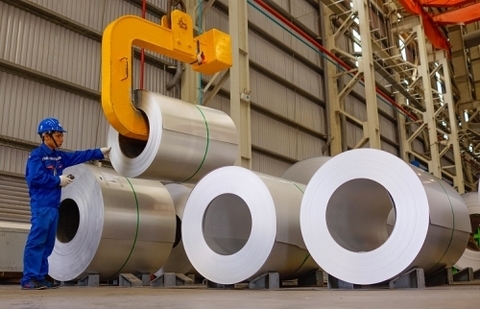 The application was filed by JSW Steel Coated Products Limited, which accounts for more than 60 per cent of the total production of these flat products in India. They are used in many applications and sectors like infrastructure, solar power, roofing, walling, decking, cladding, and framing. The petitioner claimed that the alleged dumping caused injury to domestic industry in the form of increased volume of dumped imports in absolute terms and in relation to production and consumption in India, price suppression, price underselling, capacity utilisation, profitability, cash profits, and return on capital employed. The period of investigation was from October 1, 2017 to September 30, 2018. According to a notification of the initiation issued by the India Ministry of Commerce and Industry earlier this week, the investigation into the alleged dumping and consequent injury to domestic industry would determine the existence, degree and effect of alleged dumping and whether the rate of antidumping duty, if levied, would be adequate to remove the injury. According to the Trade Remedies Authority of Viet Nam, the petitioner claimed that Viet Nam should be treated as a non-market economy country.